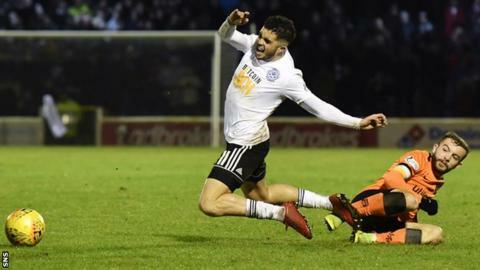 Ayr United's Scottish Championship matches against promotion rivals Dundee United and Ross County will be shown live on BBC Scotland during April. Ian McCall's men, who sit third, travel to Tannadice on Friday, 12 April to face the side one place above them. Seven days later, Ayr welcome current league leaders Ross County to Somerset Park. Both will kick-off at 19:05 GMT, with each broadcast live on the new channel and the BBC Sport Scotland website. The next second-tier game shown live also features Ayr, who make the trip to second-bottom Falkirk on Friday.